At a press conference Thursday afternoon, Canadian Prime Minister Justin Trudeau told reporters the U.S. tariff actions against Canada are "totally unacceptable" and "an affront to the longstanding security partnership between Canada and the United States, and in particular...to the thousands of Canadians who have fought and died alongside their American brothers in arms." "The ties of commerce, friendship, and in many cases, family, between Americans and Canadians are undiminished," he said, in announcing that Canada is slapping counter-tariffs on the United States. Officials noted this is the strongest trade action Canada has taken in the post-war era. The Trump administration announced Thursday that it would be implementing tariffs of steel and aluminum from Europe, Canada, and Mexico. Canada's planned retaliatory measures will take effect July 1 and stay in place until the U.S. backs down. Trudeau called this moment a turning point in the Canada-U.S. relationship. Canada's Minister of Foreign Affairs, Chrystia Freeland, said the Trump administration's unilateral trade restrictions violate NAFTA and World Trade Organization rules, and therefore Canada will launch dispute settlement proceedings. "It is entirely inappropriate to view any trade with Canada as a national security threat to the United States," she said. Speaking of NAFTA, Trudeau said he told Mr. Trump last week he would go down to Washington with Freeland and personally sit down with the president to work out details. Then he got a call from Vice President Pence on Tuesday, informing Trudeau that this visit could only happen if Canada would accept a sunset clause for NAFTA. 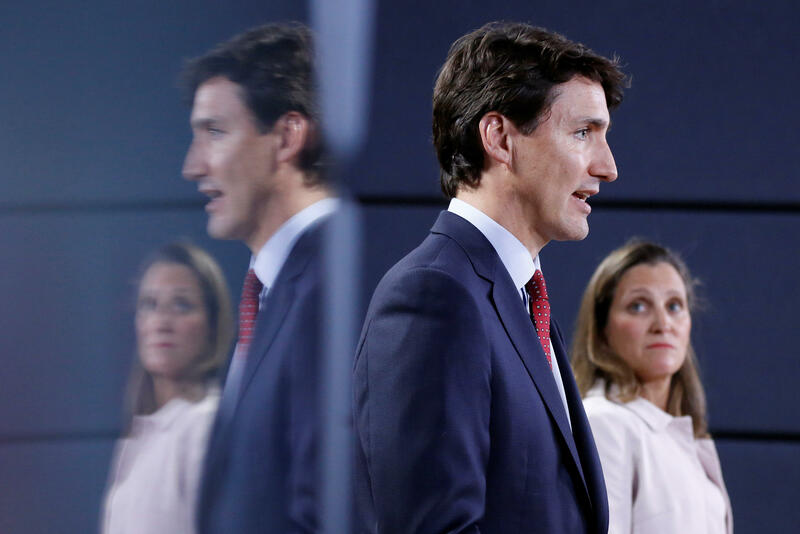 Trudeau responded that there was no way any Canadian prime minister would sign a NAFTA deal that included a five-year sunset clause, and the visit was scrapped. Trudeau says he would still be happy to come down and see the president if there are no pre-conditions set. This comes at a time when Trudeau and Mr. Trump will encounter each other at the G7 conference of wealthy nations in Quebec in just over a week. When asked about any concerns related to the G7, Trudeau said Canada would "continue to highlight that working together as friends and allies is extremely important for the prosper advertise process prosperity to each of our citizens." "When you look at G7 nations, European allies, Canada, Mexico, it shows that we need to have an opportunity to come together to discuss this directly and firmly and look for opportunities to benefit our citizens, not to harm them," he continued.